At first glance the new Acura RDX may not seem entirely new, but underneath the revised sheet metal lies an entirely new car. Not only is it new, but it has been reconfigured for the customers that actually bought the original one. The first RDX was meant for young, aggressive A-type personalities, but this one is meant for the aging boomers that actually bought the car. However, that doesn’t mean that this car is any worse for it. 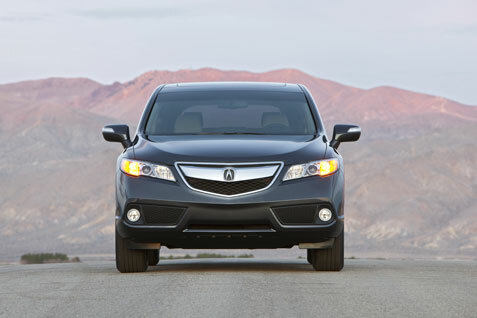 To attract the young go-getters, the first-gen RDX was chiseled and sharp. But older professionals aren’t known for their edgy styling and forward thinking outfits. Because of this, the new RDX has been softened all around. Gone are the chiseled shoulder lines and aggressive taillight treatments, and in their places are rounder, friendlier items. The result is a more refined, professional image that fits this compact CUV nicely. It no longer looks like it’s trying too hard to act tough. The story stays the same in the interior. Material quality is the same as before, but the interior design has benefitted from a mellowing out. 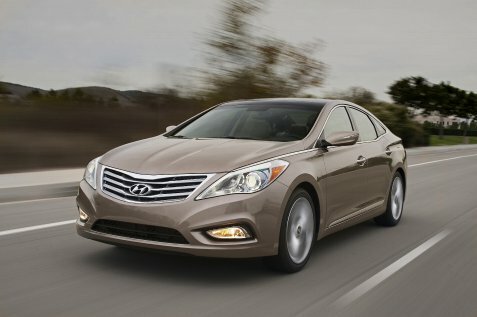 It also comes very well equipped at any trim package, but navigation is not standard. The upgrade is well worth it for the ESL stereo system though. Even if grandpa isn’t going to be blasting dubstep while out on errands, he will appreciate the low range punch and high range clarity of the upgraded system. The original RDX, to fit their target market, was a jittery mess. Its turbo four and SH-AWD system combined to make the car eager to chase apexes, but never settled down and enjoyed the ride. With a new motor, drivetrain, chassis and suspension, the RDX has been taken off Ritalin and finally learned to calm down. 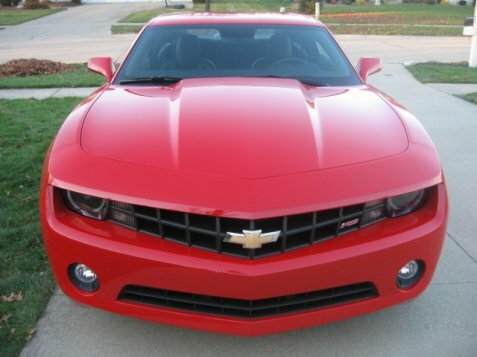 The major change is the switch to a V6 instead of the old turbo 4. This 3.5L unit delivers more power (273hp) but is smoother and more relaxing than the frantic old mill. The 6-speed transmission has also been revised to prioritize smoothness over quickness. Small Acuras have always held a special place in the automotive pantheon. Small, nimble and always ready to be wrung out, they delivered a premium driving experience without the premium cost. The Integra and RSX were thesis statements for what the Acura brand stood for: technologically advanced, fun to drive, and a great value for the money. The new ILX is the newest small Acura, and although not a true successor, it looks like it will continue Acura’s brand mission. The ILX shares a platform with the Civic, like the Integra and RSX did, but it does not look as differentiated as its predecessors. Acura took great pains to change the look though. The windshield was brought forward and raked farther back; the nose of the car has less overhang; and scalloped sides were added, not to mention the premium touches added such as the headlights, taillights, and metallic surrounds around the windows. But although it looks completely different than its platform mate, it’s just not distinctive enough for a near premium car. The Integra and RSX could be spotted from across a parking lot because of their distinctive look; looks that drew in a generation of car enthusiasts. 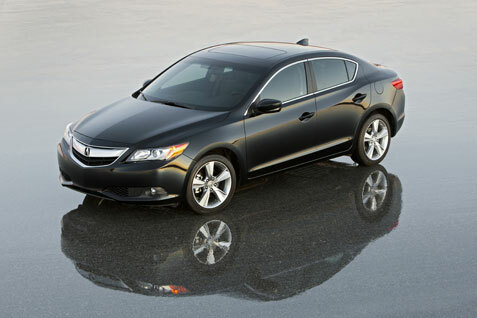 The ILX does not – it is attractive, but not in a way that will tug at the heartstrings. Acura spent a great deal of attention on the interior of the ILX to give it a premium feel over the Civic as well. Acura started out with the concept of a “cockpit” to make the driver feel connected and the passenger comfortable. To do this, Acura designers created two character lines on the dash on each side. The result, they believe, was to give it a sporty but mature character. Without hearing their motives behind the design, you may not notice it, but it can surely be felt while sitting in the car. Fit of the interior is also top notch, but material quality falls flat. Some of the materials are soft touch, including the dash, but the buttons on the console and the plastic trim are brittle and harsh. Some of the detailing also falls short. For example, Acura saw fit to give the ILX the connectivity system a TFT screen, but didn’t see fit to upgrade the graphics from something seen on the N64. The interface works well, but its design is straight out of much older cars.